So we are going to be running several giveaways from now throughout the run up to Christmas and here is the first one! 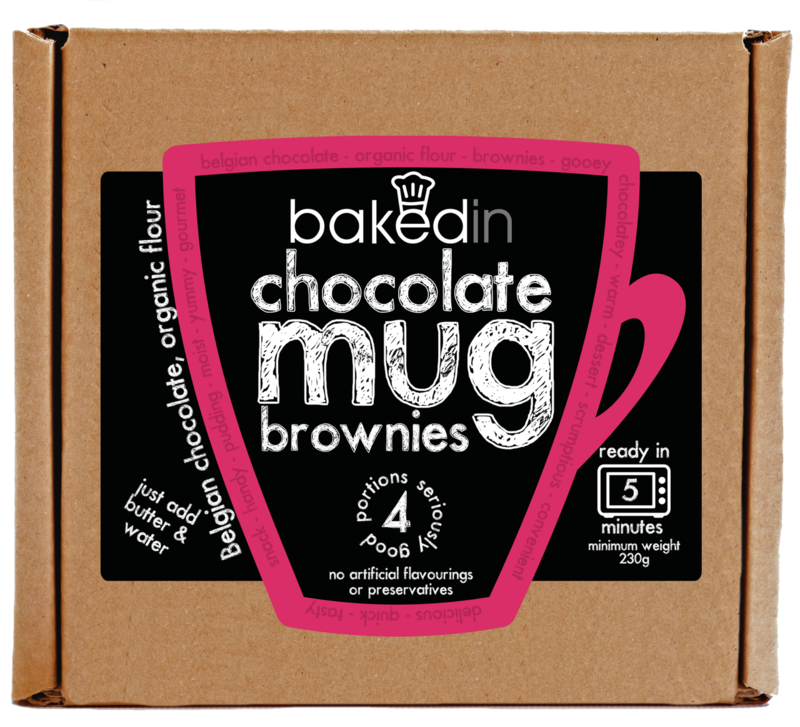 For our first giveaway we are giving away a Chocolate mug brownie kit from the lovely people at BakedIn. (You may have seen our previous review of the BakedIn cinnamon swirl kit but if you didnt you can find it HERE). "Looking for chocolate heaven in an instant? You just found it. Go from zero to brownie hero in just 60 seconds. Grab a mug and add a spoon of butter, a splash of water, and one of our mug brownie pots - then watch the mixture transform into a gooey brownie in the microwave in one minute! Each pack of mug brownies contains four individually sealed portions, so there's plenty to keep you going! Made with great stuff like organic flour and Belgian chocolate - and no nasties. Ever. A winner will be picked at random via rafflecopter. This giveaway is open to UK residents only and I will contact the winner via email within 48 hours of the giveaway ending. The winner will need to email me with a full name and address for me to send out their prize! I would enjoy the Bakedln Chocolate Mug Brownie Kit Myself Because It Sound's Delicious! I'd give it to my younger sister, she loves her chocolate!! I would share it with my kids! This is so cute! I'd either give it to my sister, or keep it to myself for a naughty evening. Probably the latter! I loooove mug cakes..I'd probably try and give this kit to my sister for Christmas. But there's a good chance I'd give into temptation and treat myself to it first! Definitely keeping for myself. come winter I turn into a hot chocolate monster. I must have at least 4 cups each day. Needless to say tubs do not last me long!! I'd be keeping it for my greedy self! I would keep this one to try out myself, sounds delightful. I'd share it between myself, my Mum and brother. We all love brownies! I would keep it for me - never done a mug cake! My daughter and I would share this. My teenage daughter, she has recently started baking and loves it. I'd gift it to my sister in law! She'd love this! I would give it to my son as he loves these type of kits. I'd already been looking at these as a present for my cousin's daughter. I would hold on to it in case I need and emergency Xmas present, but if not, eat it myself! I would love to try this myself. My friend who has just found out she's able to eat chocolate again! i would have it as a treat for myself! I would be enjoying it myself. This would totally be for me, brownies are too good to share! !